ScienceSeeker | Science News Aggregator: What does a black hole look like? Why is Russia releasing 100 whales? Find out in ScienceSeeker's picks of the best posts for the week of April 8 - April 14, 2019 #SciSeekPicks #SciComm. What does a black hole look like? Why is Russia releasing 100 whales? Find out in ScienceSeeker's picks of the best posts for the week of April 8 - April 14, 2019 #SciSeekPicks #SciComm. The first ever pictures of a black hole, taken by a network of telescopes known as the Event Horizon Telescope. Credit: Event Horizon Telescope via BBC News. [Podcast] Black Holes: The heart of darkness by BBC News Science Hour. 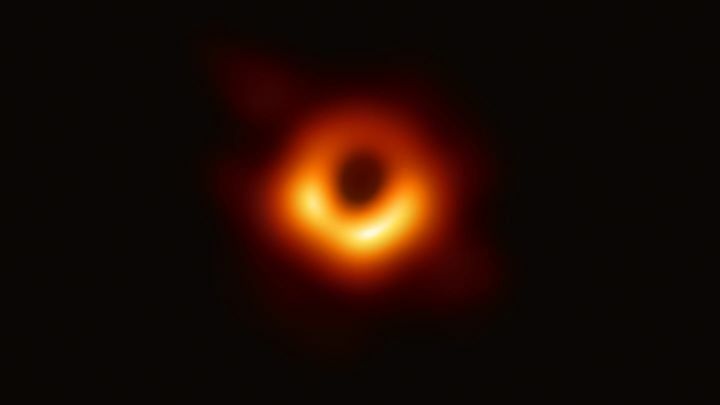 At last, a black hole's image revealed by Lee Billings for Scientific American. Slavery from space: Citizen science in the antislavery movement by Jessica Wardlaw for Science Connected magazine. The future contains flying taxis by Neil Dowling for Cosmos magazine. Watching inside a battery during the charge/discharge cycle by Gonzalo Santoro for Science Trend. Watching a battery discharge through employing synchrotron X-ray scattering. Russia plans to release nearly 100 belugas, orcas from icy ‘whale jail’ by Shreya Dasgupta for Mongabay. A silent battle is about to commence in New Zealand's forests by Vikki Smith at My Science Game. Ice-free Alps? It could be a reality by 2100 by Malavika Vyawahare for Mongabay. Island life: community-led conservation in a biodiversity crisis by Monica Peters at Monicalogues. The complex and mysterious Red Queen by Jamie Henzy at Small Things Considered. Electrospun nanofibers could help wounds heal without scars by Ibezim Chukwuemerie at Ibezims post. NIH Launches Universal Flu Vaccine Trial by Alan Kotok for Science and Enterprise. Salmonella can hijack immune cells to spread around the body by Yvaine Ye for New Scientist. How acidic is a cell’s digestive system? A new fluorescent protein pair can tell you by Michelle Ehrenberger for Chembites. The nutrition study the $30B supplement industry doesn’t want you to see by Beth Mole for Ars Technica. This physicist is trying to make sense of the brain’s tangled networks by Kelly Servick for Science magazine. Gender gap in spatial reasoning starts in elementary school, meta-analysis finds by Carol Clark for Emory University Research News. Graduate school productivity: Ideal morning routine and 12 must-buy products for PhDs by Julio Peironcely for Next Scientist. Study suggests depressed people experience a negative bias in the processing of pain by Eric W. Dolan via PsyPost. Ariana Grande's PTSD brain scan by Neuroskeptic for Discover magazine. Rats feel one another’s pain by Mary Bates for Psychology Today. Are you an early bird or a night owl? Study finds early birds have lower rates of depression by the Mass General Research Institute.